A powerful coronal mass ejection swept past our planet on November 5, 2001. The impact was followed by severe geomagnetic storm conditions and visible auroral activity as far south as Florida, Texas and California. 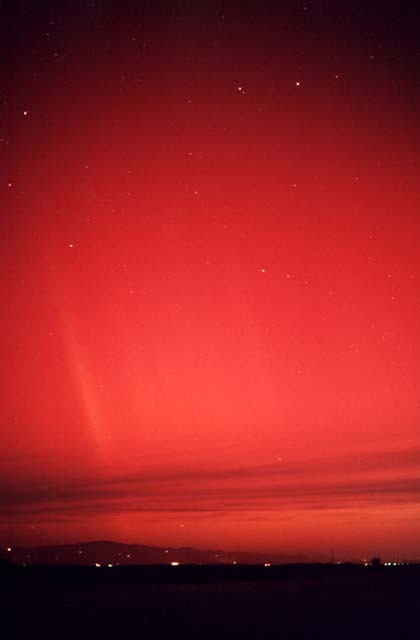 Low-latitude red auroras - as seen in this photo - are a characteristic feature of major geomagnetic storms. The Northern Lights are rarely seen at low latitudes, occurring only 3 - 6 times during the 11-year solar cycle.